Most babies start to sit at around 6 months of age and so begin a relatively peaceful window in the first year. Most babies are fairly content to sit and play. Sitting gives your baby more control over his world and an interesting vantage point from which to interact. After the lull of the 6 to 9 month period, when your little one seemed more manageable, arrives the 9 to 18 month period. This is without question the busiest and most exhausting time for parents. Your little one beings to crawl and move and with this activity comes danger – a little one who is into everything. You cannot take your eyes off him for even a second once he’s on the go. Roll the ball Roll a soft, bright coloured ball to your baby and show him how to stop it and push it back to you. Naming body parts Play naming games with your baby. Point to his nose and say “nose.” Do the same with his eyes, hands and toys. Hunting teddy Hide a toy in one room of the house and carry your baby from room to room saving “Where’s teddy?” and telling him what rooms you are looking in. Pouring games Pouring games are great to develop the shoulder muscles. Your baby will love pouring games and the bath is the best place for this. Give him beakers or plastic cups to pour water. Get that toy Tie a piece of string onto a toy so that your baby can pull it himself and retrieve it independently. This is most fun when done from a highchair. 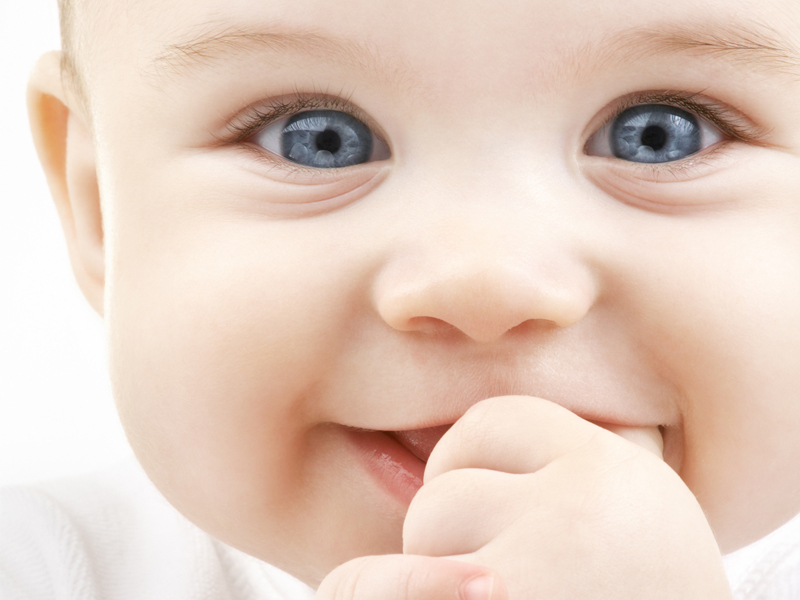 Animated conversations When talking to your baby, use exaggerated tones and gestures and copy the sounds he makes. Cycling Once your baby can sit stably, fasten him into a baby seat on your bicycle and take him for a ride. Sitting in the bath Now that your baby can sit on dry land, you can start allowing him to sit in the bathtub. Get a sitting frame for the bath, or a bath support, or at least a non-slip mat. Do not leave your baby sitting alone in the bath for even a second. Big shakers Fill empty plastic bottles that can roll, with small, colourful and/or noisy things e.g. bells, scrunched coloured paper and small stones. Make sure the lids are secure. Encourage your baby to shake them and make music. Take the glass and breakables out of low kitchen cupboards and place Tupperware and plastic in the lower levels. If your little one did not sit at exactly 6 months and is not crawling at around the time other babies crawl, don’t be overly concerned. Between 6 and 12 months, development varies extensively between babies. Some little ones sit at 5 and a half months and crawl at 8 months while another may sit at 6 months and crawl closer to a year. As long as your baby achieves each milestone in time, you do not need to worry.